R andy Wood has been producing top quality instruments since the 1960’s and performing his craft for everyone from Elvis Presley, Eric Clapton, Keith Richards, Bill Monroe and more, but this famed luthier has also hosted live concerts at his 100 seat Bloomindale listening room since 2003. 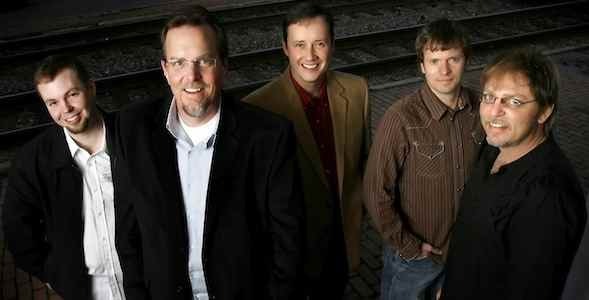 Beginning this month, Randy Wood Guitars will now feature live streaming concerts via Flatt Mountain Media.com. We’ve hosted concerts for everyone from Vassar Clements and Tony Rice to John Jorgenson, Doyle Lawson & Quicksilver, The Boxcars, Mountain Heart, J.D. Crowe, Claire Lynch, Tommy Emanual, Lawrence Juber, and the list goes on and on. My goal with this hall is to reach as many people as possible with the best quality Americana, Bluegrass, Acoustic and other genres of music. Americana music has been very good to me over the years and I feel, with this pulpit, I can give back a little to this great and important music genre. We hope to be able to live stream and archive this very important piece of American Music history – Randy Wood. State-of-the-art streaming is done “Live” in HD with amazing sound capture during the concerts direct from Randy’s Old-Time Pickin’ Parlor by partnering with Cody Slatten, Saltymoss C.E.O. and Executive Producer. Cody brings over 15 years of film, television and music video experience to each production. He is well-known for his Emmy™ award-winning work. Along with music licensing and distributions expert, Ken Hatley, CEO of Ken Hatley and Associates, Inc., Randy is on the cutting edge of providing real-time content capturing the in-house experiences of his theatre, direct to the fans on their laptop, tablet or smartphone. Randy Woods Guitars’ concerts are a real treat to get to do. It’s an intimate venue where folks can get the true experience of hearing an acoustic group in an up close and personal setting. Now with the live concert streaming, this experience can be had by folks around the globe. If you can’t get to Randy’s, it’s the next best thing to being there! Check it out, I know you won’t be disappointed – Adam Steffey of The Boxcars.